Spring will be here before you know it, which means we’re also on the verge of wedding season! To celebrate, Angie at The Country Chic Cottage is hosting a whole week of DIY wedding ideas, and we couldn’t resist joining in on the fun. After being inspired by some silly, oversized “diamond” rings in the Valentine’s Day offerings at Dollar Tree, I came up with a cute favor idea. 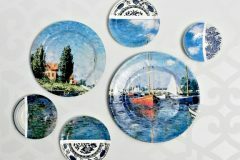 I think they would look adorable worked into luncheon place settings or scattered on a buffet table or down a table runner! It all started when I came across these big rings. They are too big to wear on a finger, so I figured they had to have a decorative use. And of course, I immediately thought of weddings! 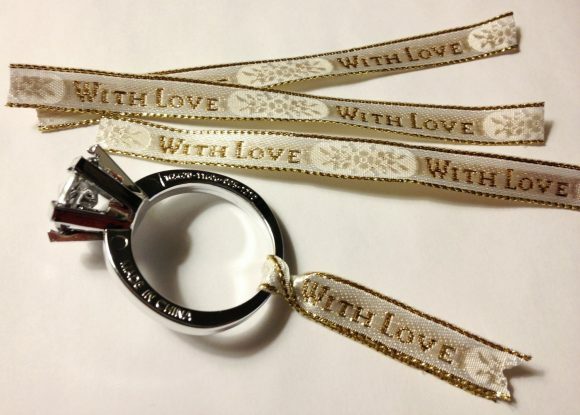 Then I found some thin, wire-edged ribbon that says “with love” on it and I knew it was just what I needed to turn the rings into something more. Cut the ribbon into segments; I cut mine so that the “with love” sentiment would show on both sides when the ribbon is folded in half. Fold the ribbon around the ring, then twist to secure it in place. 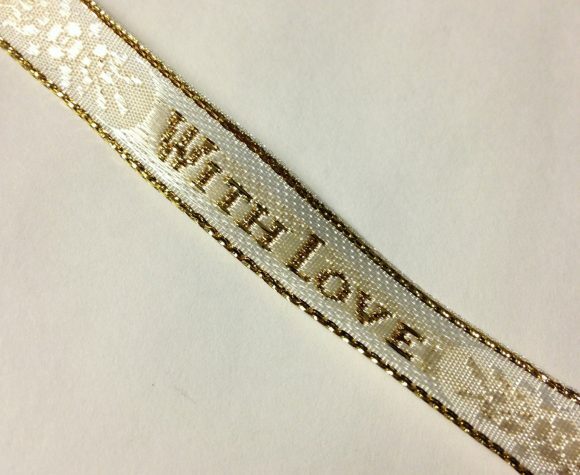 Adding the tag is where you can really go crazy personalizing this project! I used letter stickers to make a simple monogram, but you could also add a love sentiment or an image. 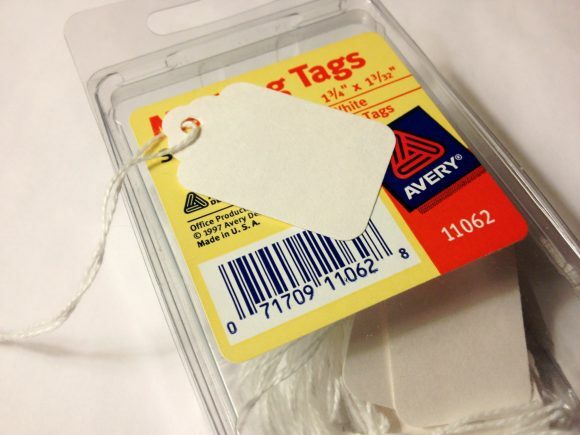 Try writing each guest’s name on a tag and use them as place cards! 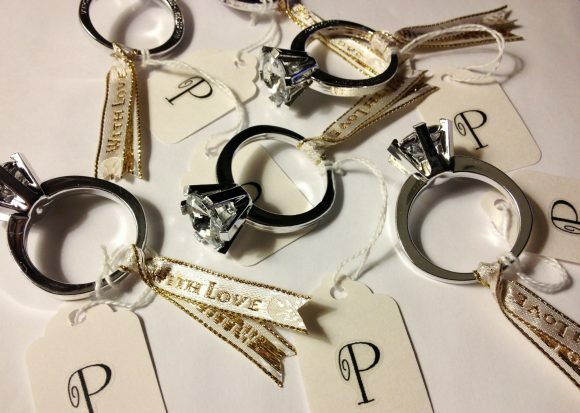 Finish the favors by attaching a tag to each ring and you’re done! Now on to the next wedding project…. Make sure you stop by The Country Chic Cottage this week for lots more great wedding craft ideas! It’s a really cute idea, but I’m not sure I would even want to spend money on these. What does one do with it? If I got one as a guest at a party, I would think “Gee, thanks,” and then it would be in the trash once I was out of sight of the host. 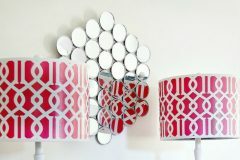 I think these would make great decorations for a bridal shower or bachelorette party! 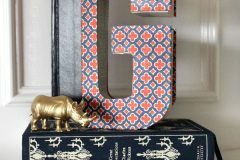 Cute, but pricey for an impractical favor that will likely never make it into someone’s home. You guys are crazy. Pricey? buy the time you split up the products you’re talking about 1.75 per favor. You could never get something that cute for that price, for a favor or decoration. I’d bring mine home and wrap it around a candle or wine glass or, well there are too many things to list. Very creative. How about using for a napkin ring for a wedding shower–just roll up your paper napkin inside. Clever idea! 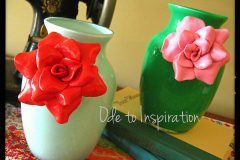 You could also use them as a decorative element for a wrapped wedding gift package. Where did you find those for $1? I don’t think this works well as a favor. I imagine the guests would either leave it on the table or put it in the trash once they got home. It’d feel like a waste of money for me. These are cute and funny. 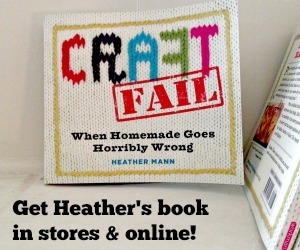 If you feel the need to make it useful, you could hot glue it to a magnet, to make a fun fridge decoration. I would attach them to a Ring and Chain to make it a Key Chain then use as a Party Favor. I think they are adorable. I’d rather give something edible as a favor though. I think these are adorable; impractical, maybe but cute;definitely. They’re a fun, decorative and whimsical table piece, why not attach a brooch backing though as a fun brooch?